Due to rapidly aging populations, the number of people worldwide experiencing dementia is increasing, and the projections are grim. Despite billions of dollars invested in medical research, no effective treatment has been discovered for Alzheimer’s disease, the most common form of dementia. 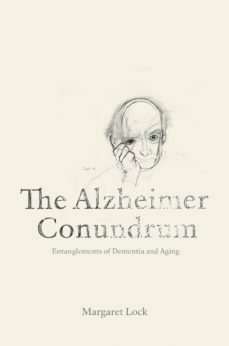 The Alzheimer Conundrum exposes the predicaments embedded in current efforts to slow down or halt Alzheimer’s disease through early detection of pre-symptomatic biological changes in healthy individuals. Based on a meticulous account of the history of Alzheimer’s disease and extensive in-depth interviews, Margaret Lock highlights the limitations and the dissent associated with biomarker detection. Lock argues that basic research must continue, but should be complemented by a public health approach to prevention that is economically feasible, more humane, and much more effective globally than one exclusively focused on an increasingly harried search for a cure.